Staying fit and healthy is a challenge when you are mobile, but it doesn’t have to be. The same goes for those who are wheelchair bound. 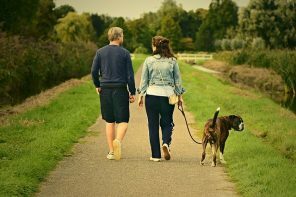 There are many ways to stay fit and healthy while in a wheelchair and this article will help inspire you to get moving. Regardless of the type and price of a wheelchair you have, there are ways that you can get in shape by moving your body from within your chair. Yoga has become so popular and mainstream that people of all ages, sizes, and abilities are now joining in on classes all around the world. If you are in a wheelchair and are uncertain of how to go about doing yoga in your chair, there is a plethora of information online that provides tutorials and even full sessions that you can follow along with. Wheelchair yoga is perfect for working on flexibility and clearing your mind. Yoga is empowering and will leave you feeling rejuvenated and refreshed so that you can tackle whatever comes your way. This is perhaps the most popular choice when working out in a wheelchair, strength training is a way to build muscle and improve your balance. People who are unable to use their legs often enjoy spending time working out their upper body as it helps them to have better upper body strength. Strength training can be done at home or at the gym with weights, dumbbells, and indeed anything that has weight to it. Do several repetitions and stay consistent. If you work on your arms one day, you may want to find a different part of your body to work on the next day. Allowing your body to have a break will help the muscles rejuvenate and repair before your next workout session. The point of cardio training is to raise your heart rate and help increase your overall endurance. Cardio activities include, but are not limited, to walking, running, cycling, dancing, playing tennis, swimming or aqua aerobics. If you have mobility issues you may find that working out in the water is most comfortable for you. The water will help to support your body and can reduce any pain you may feel in your joints or muscles. Cardio training can be a challenge if you are in a wheelchair, but there are ways that you can do it. 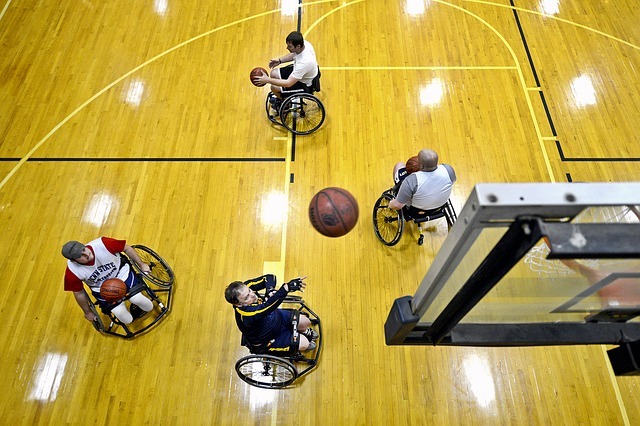 Some choose to play wheelchair basketball or other sports. Be sure to check your local recreation centre for program offerings specific to those in a wheelchair. 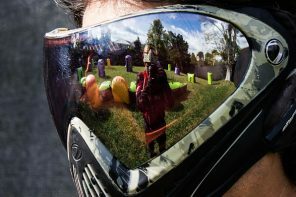 Get out and get fit while also making friends! No matter what workout you do, it is important that you drink plenty of water so that your body remains hydrated. In addition, be sure to stretch the muscles in your body so that it helps to rejuvenate them after your workout. This will also help you avoid getting a sprain or other injury after working out. 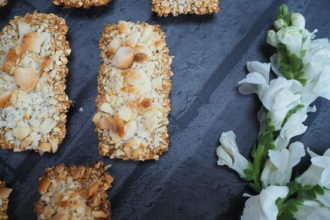 These Banana and Macadamia Nut Flapjacks are so downright tasty it’s hard to believe they contain just 4 ingredients – but honestly they do….